DETAILED SOLUT﻿ION﻿S to all 270 problems in the form of PowerPoint presentations are available on a CD here. 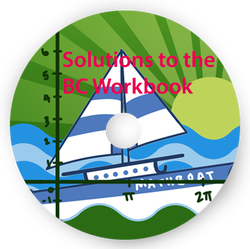 This CD contains solutions to this workbook. These solutions are for the second edition of the book which reflects the recent changes in the college board requirements for the 2019 AP Calculus Exam. "The PowerPoint solutions should not be transmitted to any student in any electronic or paper format, posted on-line or emailed. Also, they should not be shared with any other teacher, school, school district, or any other entity. If you are a teacher, you can present these PowerPoints to your students in class."